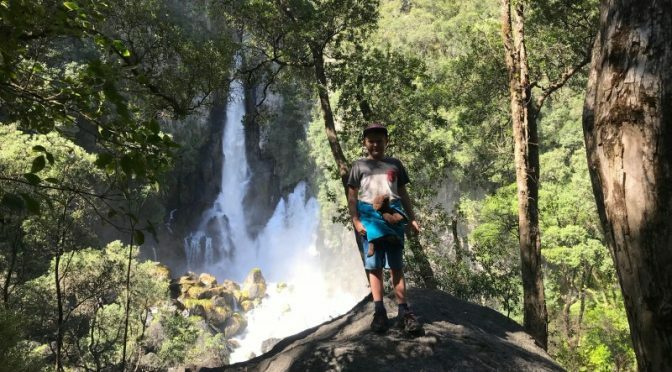 My Uncle has explored nearly every nook and cranny in New Zealand and rates the Tarawera Waterfall track from the Tarawera Outlet campground as one of his all time favourites and I think he might be right. Its one of those walks where the trail has as much to see as the final destination; stunning Indiana Jones style native bush, walking beside the gorgeous Tarawera River with waterfalls along the way and then watching the river disappear into rock crevices to emerge out of the side of a cliff a little further down. You need a permit to enter the Tarawera forest – available on line or at the information centre in Kawerau.